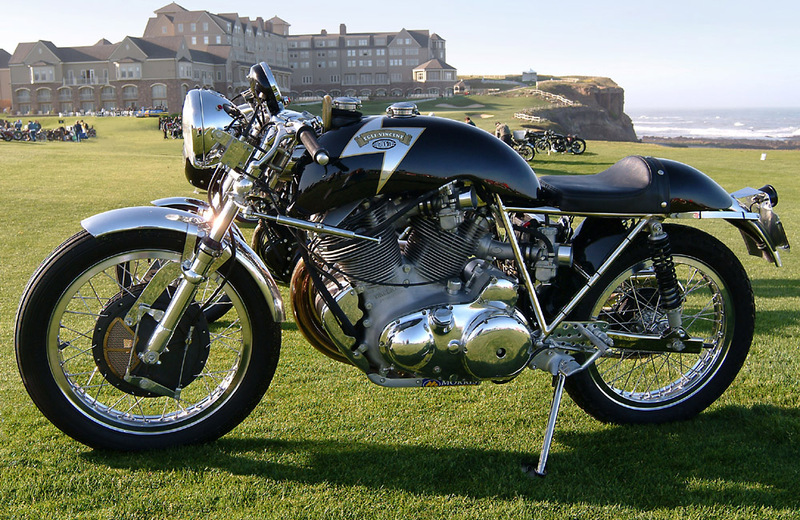 As the Egli-Vincent was born as a Hill climb and racing, the Café Racer style is certainly the skin that suits the best to its DNA. 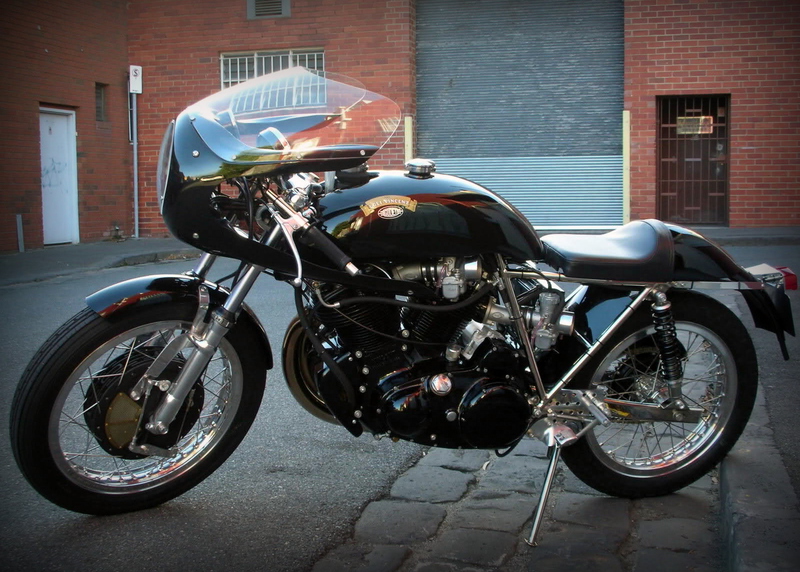 This is essentially how Patrick started more than twenty years ago with the Egli-Vincent re-creation. Patrick sense of the details and the authenticity makes very little place of compromise. Don’t ask him a pair of disks or carbon wheels, you will likely be told to buy something else like a Ducati… In fact Patrick wants to stay loyal to the original design and works only on the reliability and performance, based on his thirty plus years of experience racing Vincent. The result is stunning and outstanding in quality and finishing. Many times his peers recognized his work with “Best of Shows” that he deserves. 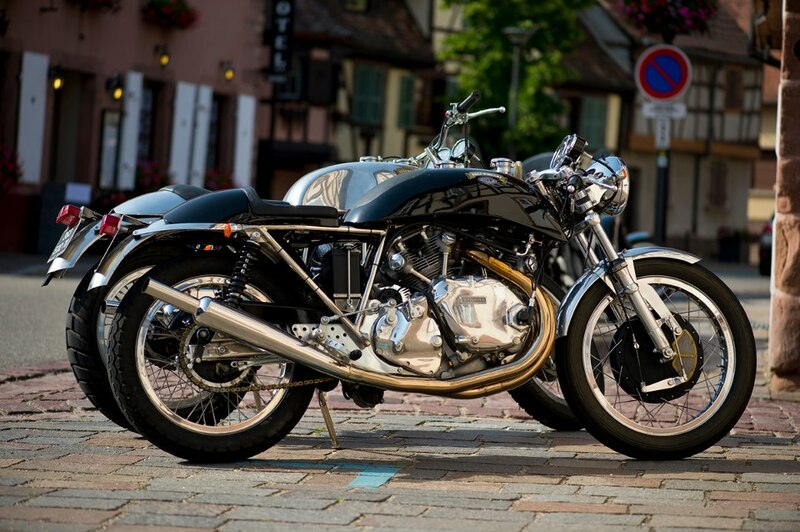 The Café Racer is available in conventional 998cc or 1330cc, this latest delivers 99hp at the rear wheel. 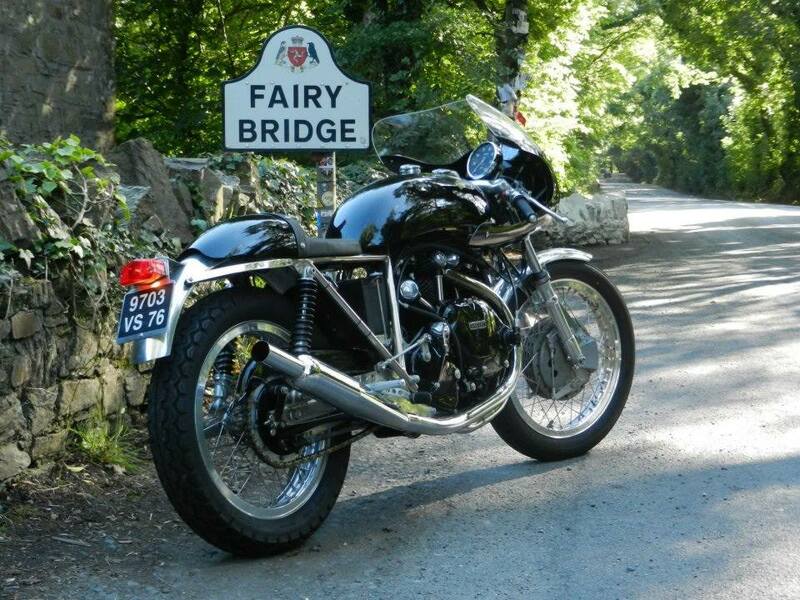 The gearbox can be the stock Vincent 4 speed or the Surtees 5 speed. For the more demanding racers, crankcases are also manufactured in magnesium and a 230mm Fontana magnesium front brake replaces the 210mm. 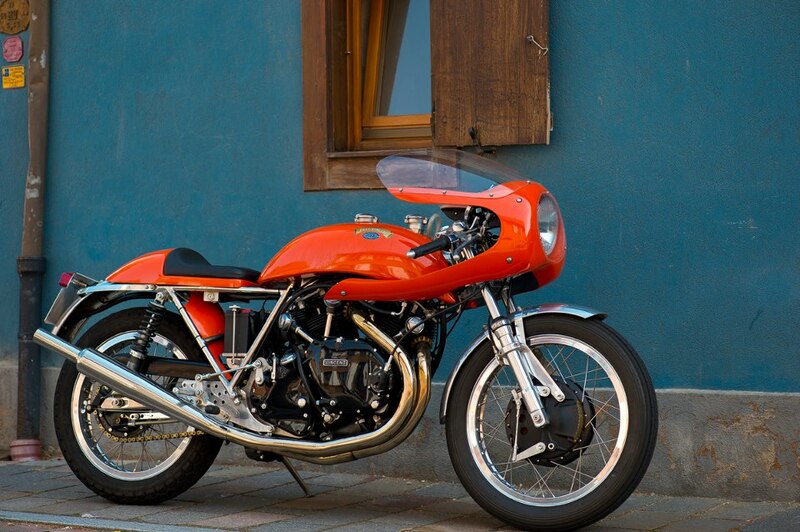 Esthetic wise, there are three main choices to do: with or without the half fairing, with or without the side panels and of course determine the color, both for the engine (black or polished) and the color of the motorcycle (any you want). 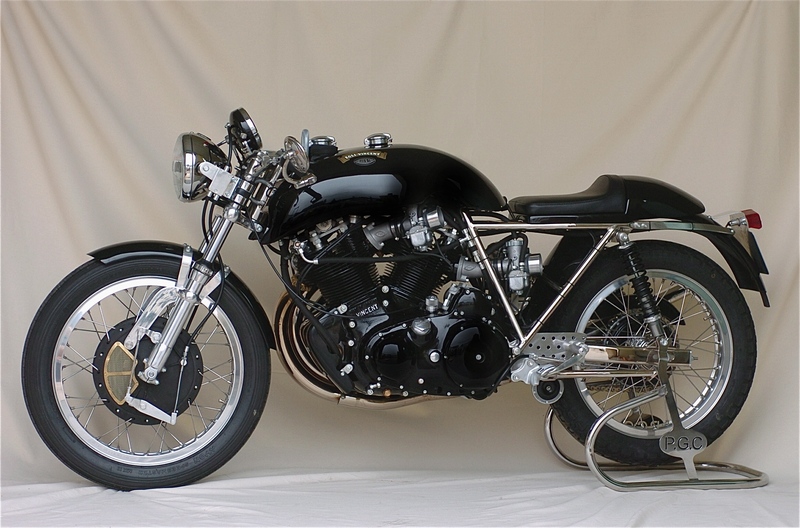 The Café Racer will come standard with the “banana” tank, the solo seat, clip-on handlebar and racing feet commands. 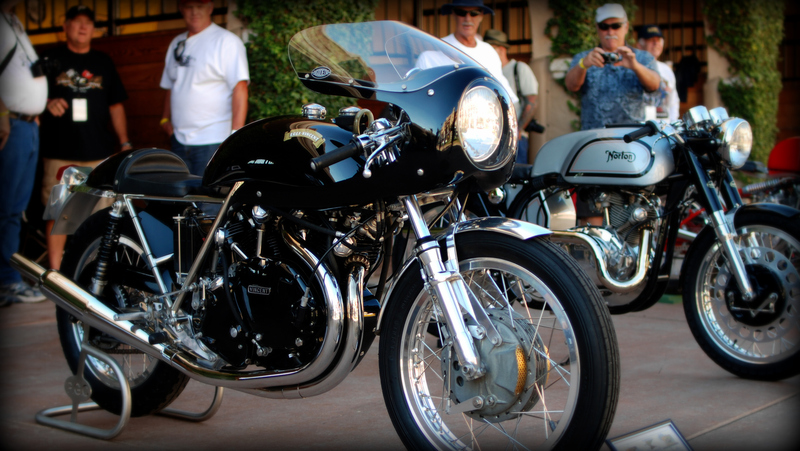 Today the Café Racer is certainly one of the most emblematic and desirable Classic Bike on the road. Check it out! 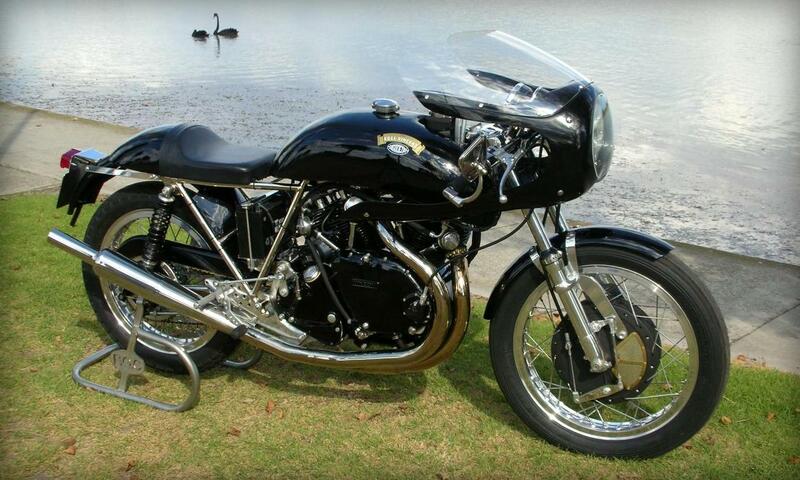 The very first Godet re-creation did not have the Godet logo nor today’s gorgeous pipe. The Kick will be replaced later by the Electric Start. The cylinder heads were conventional (one front one rear), they are now replaced by the Godet heads which is one of the secret why a Godet are so powerful. 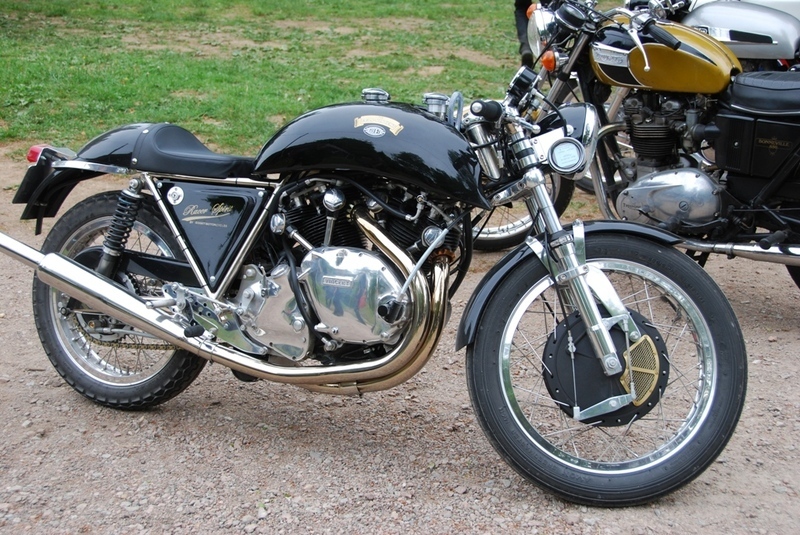 Godet 1330 Cafe Racer with polished engine and no fairing| Copyright 2007 KHI, Inc. 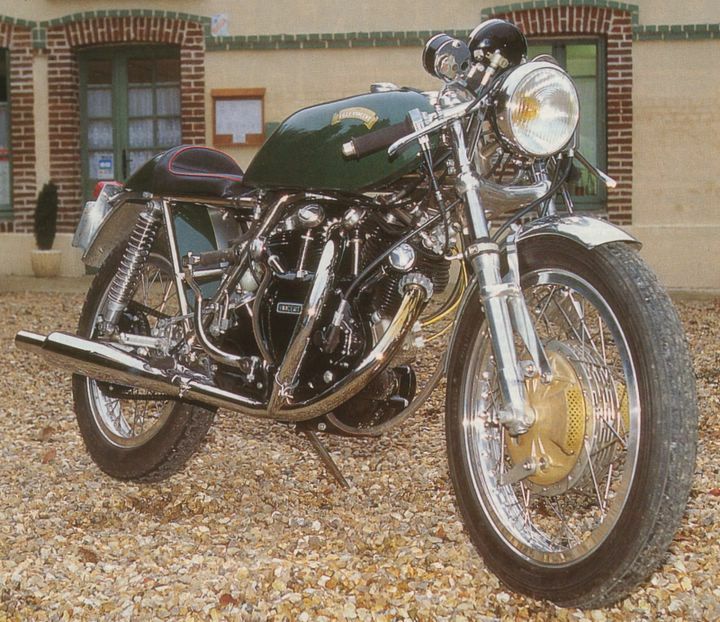 This Egli-Vincent is one of the most potent to do the job 1330 cc delivering 99hp, 378lb (172kg), 4 cams 230 mm Fontana Magnesium front brake. 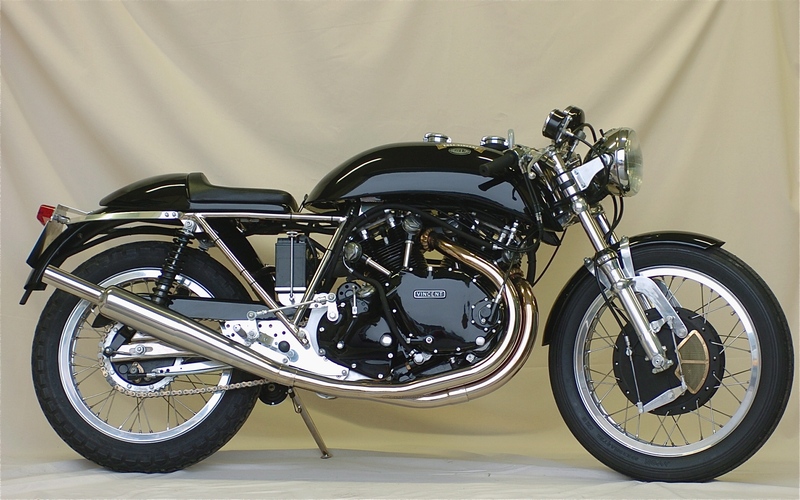 Godet 998 Cafe Racer, blackened throughout the fenders. Patrick has gone to the great home of Vincents in the sky. We who knew him, and those who did not, will miss him greatly.